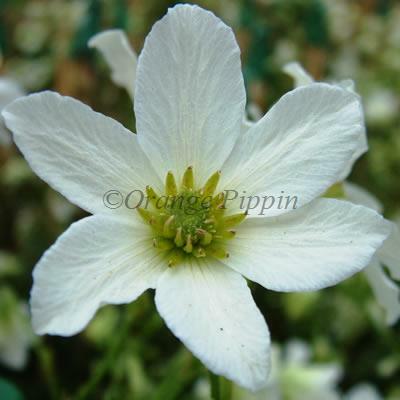 An evergreen, non-clinging Clematis with masses of small, lightly scented, white flowers with green centres and green on the reverse side are produced during the spring. 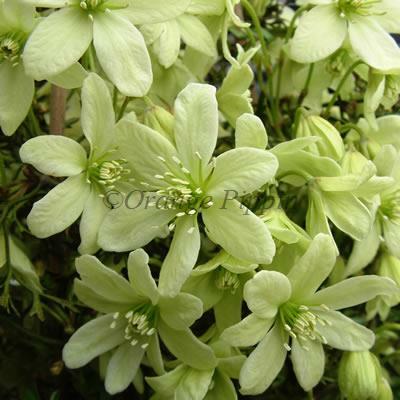 Clematis 'Early Sensation' is a slow growing plant with finely cut, dark green leaves which are bronze coloured in spring, making it ideal for the smaller garden, where it can be used as ground cover within the flower border, trained as a climber or planted in a container on the patio. 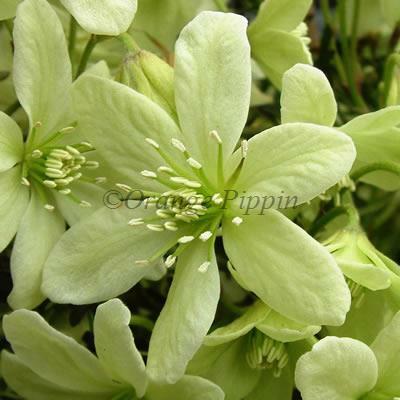 Clematis 'Early Sensation' was raised by Graham Hutchins of County Park Nursery, Essex, England. It was named and introduced by A.N.M. Rijnbeek of Boskoop, Holland.